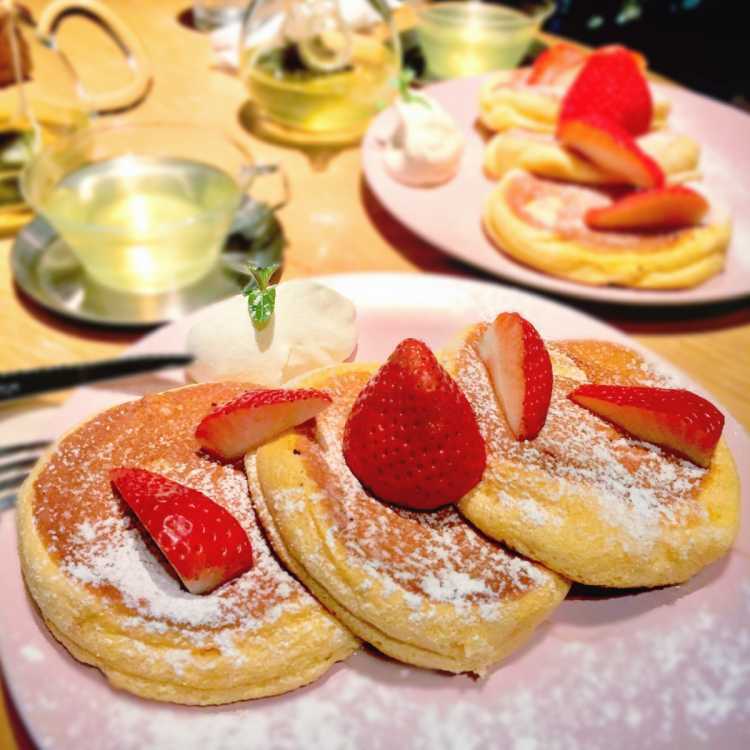 You can eat pancakes of Luxury Skyberry from 1/8 to 1/20. The delicious strawberry sauce plays hide-and-seek in the pancake. It's so delicious that you must want to come often!